Another excellent foray into geography and history by the adorable Mr. Pish! 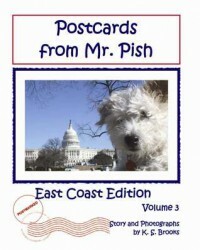 That li'l dog gives readers a lot of interesting info, some great pictures and a fun look at places a lot of people might never go! Recommended!